Welcome to our Aberdeen, Washington page. We provide listings of: women's shelters, family shelters, transitional housing, residential treatment centers and other residential services for women. As a Rescue Mission, we chart a path for homeless or near homeless men, women and children from hopelessness to hope by addressing the main problems they struggle with. 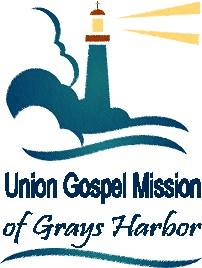 The Union Gospel Mission of Grays Harbor is here for one reason. To help these descriptions change for those that want it.